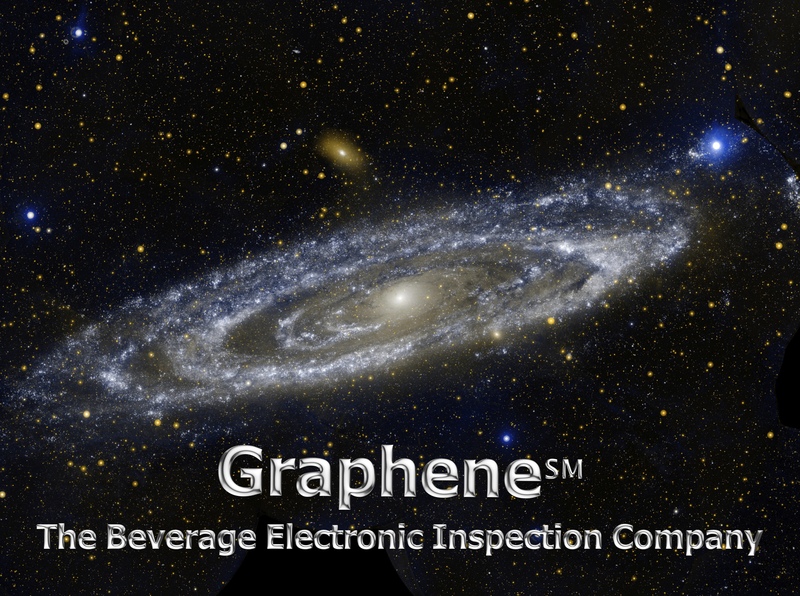 Graphene™ - High Frequency fill level inspection from Graphene, Lda on Vimeo . A polar molecule is a molecule with opposite charges on the opposite sides. �The reason why a water molecule is polar is due to its�‘V' shape. �Instead of spend their time around every atom in the molecule, the (negatively charged) electrons spend their time around the Oxygen atom, while the Hydrogen atoms are left alone, then remaining positive. Because of this polarity, water molecules can attract one another and stick together, thus forming water. �We’ll re-encounter end deepen the polarisation of the water later in the text, because of its relevance for our Beverage Quality Control application. two remaining pairs form the O-H bonds, which create the polar molecule H2O. � �Hydrogen bonds are labeled as Negative [-] Oxygen atoms bond to the positive [+] Hydrogen atom. Each water molecule can make or accept two H-bonds. Some of the features of water due to Hydrogen bonds are represented in the figures and video above and below. Also the familiarly represented aspect for a drop of water derives by the H-bond extended to a macromolecular system with many participating molecules. ��We can think of this attraction as water molecules tending to stick together, and the results are interesting. �This strong electrostatic attraction between Hydrogen atoms on one water molecule to Oxygen atom on another is called Hydrogen Bonding, or H-bonds. �The video below has been shot to water, one of the most basic ingredient of the Food and Beverage Industry. Thanks to its frame rate of 2000 frames-per-second, ~100 times higher than human capability, illustrates the fine details of the process. If the field is switched, there is a characteristic time that the orientational polarisation (or average dipole orientation) takes to adjust, called the relaxation time. �Typical relaxation times are ~ 0.01 ns. �Therefore, if the electric field switches direction at a frequency higher than ~ 100 GHz, the dipole orientation cannot follow the alternating field, the polarisation direction is unable to remain aligned with the field, and this polarisation mechanism ceases to contribute to the polarisation of the dielectric. This last detail here added to clear a basic difference of the High Frequency fill level inspection, with respect to other competing�technologies UV,�X-rays and�γ-rays which on the opposite check for the absorption of energy. the choice of this temperate site enforce the sense of the conclusions for those Bottling Lines sites which are subject to extreme seasonal or daily temperatures and humidities. �Typical examples of these, being the semi-desertic or desertic places, both sharing extreme deviations on the ambient temperature along the 24 hours and along the season. The coldest day of the 12 months period was February 17, with a low temperature of -4�C. For reference, on that day the average low temperature is 3�C and the low temperature drops below -3�C only one day in ten. �The coldest month of the last 12 months was February with an average daily low temperature of 3�C. � �Relative to the average, the coldest day was March 27. The low temperature that day was -1�C, compared to the average of 9�C, a difference of 10�C. In relative terms the coldest month was March, with an average low temperature of 5�C, compared to an typical value of 7�C. � �The longest cold spell was from February 28 to March 10, constituting 11 consecutive days with cooler than average low temperatures. The month of March had the largest fraction of cooler than average days with 71% days with lower than average low temperatures. When reading the graph below (credit Vector Magic, Inc.)�keep in mind that the hottest part of the day tends to be the least humid, so the daily low (brown) traces are more relevant for understanding daytime comfort than the daily high (blue) traces, which typically occur during the night. �Applying that observation, the least humid month of the last 12 months was March with an average daily low humidity of 37%, and the most humid month was July with an average daily low humidity of 61%.